Most of us like to make a positive first impression. Whether it is outside our homes or our businesses, we want other people to develop a favorable impression of who we are or what we do. 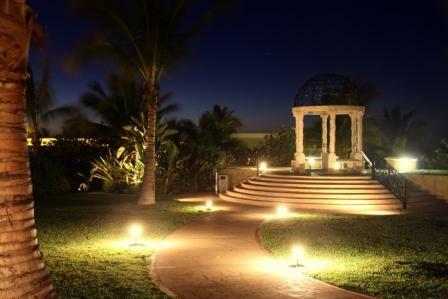 Architectural landscape lighting can help make that first impression a good one. As an example, if you live in an older home that has ornate scroll work or interesting curves, architectural landscape lighting can be strategically placed to allow those assets to be highlighted once the sun is down. Subtle lighting will allow people passing by to admire the woodwork of your porch railings, the graceful curve of your tall windows, and the balcony that graces your second floor. In like manner, architectural landscape lighting can add to the professional look of your workplace. Imagine spotlights that are trained on the large company logo that graces the side of your building. Perhaps the property has a flagpole that provides the perfect foundation for a flagpole. Discreet lighting to show off the greenery to best advantage can be capped off with a couple of lights that shine upward to center on a flag that is waving in the breeze. Larger office buildings also often come with parking spaces that incorporate islands of flowers between the rows of parking spaces. In addition to overhead lighting, well placed fixtures at ground level can serve the dual purpose of calling attention to pleasant landscaping as well as enhance the overall safety for people who leave the building after dark. Architectural landscape lighting can be used to accent just about any interesting feature of the exterior of your home or you place of business. To get ideas on what will work for your space, contact a landscaping firm in your town. They will be able to help you identify the best lighting solutions to create the look that you want.